Happy May Day everyone! I am very excited to be on-point editor for the 2017 May edition of The Recipes Project. Living in Germany, where there is a ‘saison’ or a ‘- zeit’ for almost everything – Spargel (asparagus), Erdbeerkuchen (strawberry cake), Kurbis (pumpkin), Pflaumen (plums), Balkon (balconies – meaning party time! ), I have grown accustomed to anticipating and welcoming the changing of seasons. Further inspired by the official first day of summer, I decided to invite a group of like-minded contributors to explore the theme of seasonality in this month’s edition. In fact, both the joys and constraints of seasonality have been on my mind in this academic year. In the fall, through reading the letters between Johanna St. John and her steward Thomas Hardyman, I gained insight into the complex planning strategies used by early modern householders to ensure a table laden with enticing food and drink. Johanna’s frank instructions offered a glimpse into the everyday pressures faced by mistresses and servants to guarantee turkeys at Christmas, uninterrupted supplies of fresh butter, cheese, bacon all year round and a beautiful show garden in the spring and summer months. 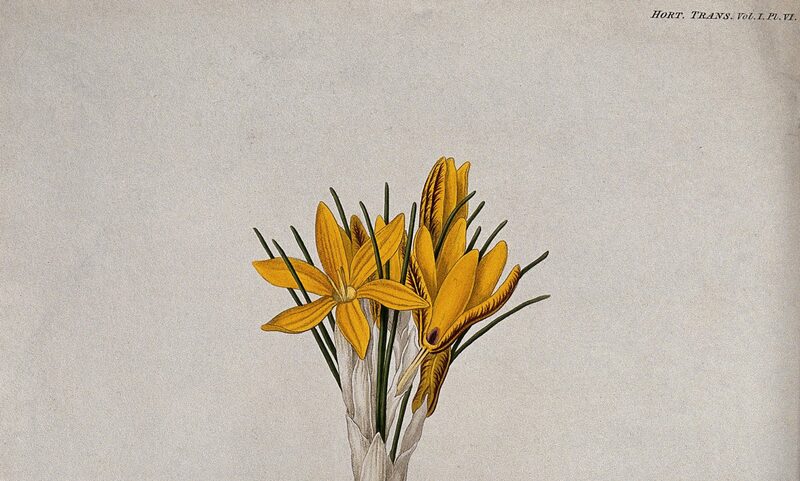 The letters very quickly revealed that whilst the St. John household was busy all year round, certain times of the year were particularly task-filled as the household collective strove to seed, cultivate and harvest and to preserve foodstuffs and produce medicines by sugaring, candying, distilling and brewing. The profound impact of the changing seasons on food and medicine preparation does not come as a surprise to those of us who spend time in recipe archives and, indeed, in the recent years there have also been contemporary calls to return to the land. For example, Johanna’s struggle with raising turkeys prompted me to revisit Barbara Kingsolver’s thoughtful Animal, Vegetable, Miracle where the author writes engagingly about her adventures in rearing heritage turkeys. 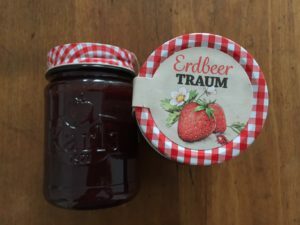 As I cycle past the asparagus stands (soon to be strawberry stands) on my way to work, I relish the fleeting joy of spring produce and concurrently breathe a sigh of relief that, thankfully, I can rely on Germany’s specialist strawberry grower Karl’s to pick and make the delicious Erdbeer Traum (strawberry dream) jam which my family so loves in our Victoria Sponge Cake. Commissioned during the ‘hungry gap’, this month’s posts work together to interrogate notions of seasonality in historical recipes across a range of geographical and temporal contexts and knowledge spheres. Food historians Rachel Snell and Molly Taylor-Polensky examine the technologies and methods used to preserve seasonal produce for year-round consumption and the various cultural reasons driving this work. Taking a slightly less sunny stance and drawing upon the recipe notebook of Rebeckah Winche, literary scholar and ecofeminist Jennifer Munroe prompts us to re-examine our interdependent relationship with other animals, plants, soil and climate on our planet. Of course, notions of seasonality extended well beyond food and medicine, as art historian Jenny BoulBoullé shows that artisans and craftsmen were also keenly aware of the effects of changing seasons. Representing the flourishing Artechne project, Jenny’s post reminds us of the importance placed upon season by both pre-modern artisans and 19th and 20th century scholars who so eagerly attempted to reconstruct historical recipes. Taking us into the realm of alchemy, Tillmann Taape discusses how distillation processes were used to make medicines and human bodies prevail against seasonal cycles of generation and decay. Turning to the Chinese context, He Bian explores a late 14th century guide to living seasonally and introduces readers to the various recipes for food and medicines included within. Examining later readings and discussions of the guide, He questions whether seasonality, a classic theme in ancient Chinese medicine, came under critical scrutiny of early modern scholars. Our edition closes with a post by Caroline Petit who, taking us back in time to the ancient world, examines an intriguing story told by Galen. Taken together, these posts highlight the continued role played by seasonality in recipe practices and knowledge. I hope that you all enjoy this special issue of The Recipes Project!